Need a pick-me-up on a hot, sweltering day? Try Polar Punch syrup for snow cones from Hawaiian Shaved Ice. This cool blue Polar snow shaved ice snow cone flavor is one of the most refreshing and cooling flavors offered at Hawaiian Shaved Ice. The cool flavors will bounce off of your tongue with every bite of your Polar snow shaved ice cone, ensuring that you cool off from head to toe. Plus, the amazing neon blue coloring of this Polar Punch snow cone flavor makes it especially enticing for kids. 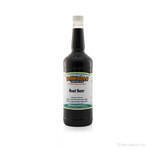 Even your pickiest eaters will love Polar Punch syrup from Hawaiian Shaved Ice. It�s a great choice for kids of all ages, including teens who think snow cones are just for little kids. 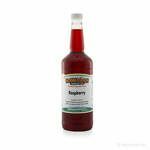 Hawaiian Shaved Ice�s Polar Punch syrup for snow cones is ready to use upon arrival and is also available in the one gallon size. 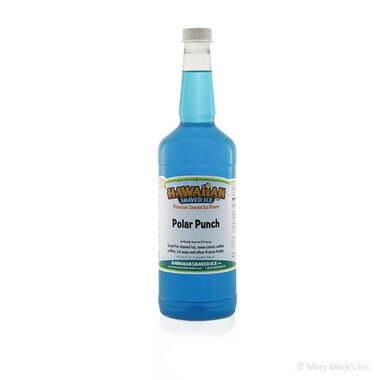 Try this Polar snow shaved ice flavor along with our other blue syrups, including blue coconut, blue cotton candy, blue raspberry in a custom five pack.